Discover all the fun, productivity and education you can tap into with a Google Home device with this comprehensive audio tutorial from Mystic Access. Have you ever wanted a friendly personal virtual assistant who will play your music, get you to where you need to go on time, answer most of your questions, and even schedule your events for you? The Google Home can do all of that, and so much more. 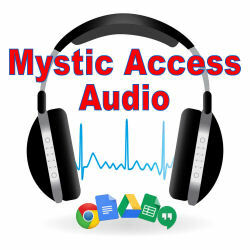 Mystic access is delighted to present our comprehensive audio tutorial on this exciting piece of technology, and all that it has to offer. Open up the world of the Google Home’s features, all with the power of your voice. Meet Google’s virtual assistant, a speaker which you can control with your voice and mobile apps on iOS or Android. The Google Home is thoroughly explained and demonstrated in this audio tutorial, which is over six hours and fifteen minutes of comprehensive material. What are the Google Home products, and why might you want one? How to use Google Home with voice recognition. How to set up and configure the Google Home without sight. Orientation to the Google Home family of devices. How to initially set up your device. A discussion of and orientation to the Google Home App, and where to find some of the most useful settings. How to speak with your Google Home upon successful setup, and a number of basic commands to get you started. Getting help with using your Google Home. Google Home and getting the weather. Using your Google Home for traffic, sports and podcast-listening. Using the shopping list, setting reminders, and scheduling events on your calendar. Playing fun and immersive games with Google Home. Google Home Apps or Services… how to search for, browse for, learn about, enable and use services. Reading audio books with Google Home. Google Home and Music… your new virtual assistant can play music from YouTube Music, GooglePlay Music, Tunein, , Pandora, Iheart, Spotify and your Google Music library, all of which is covered thoroughly in this section. Using Google Home to control home automation products such as thermostats, lights, etc. Using Google Home to set alarms and timers. Using Google Home in the kitchen. Google Home for math and conversions. Fun and fascinating things you can say and do with Google Home. We know that it can be frustrating to learn a new piece of technology. As totally blind users ourselves, we meet you where you are with friendly, straight-forward instructions and helpful hints to make your learning as relaxing and enjoyable as possible. 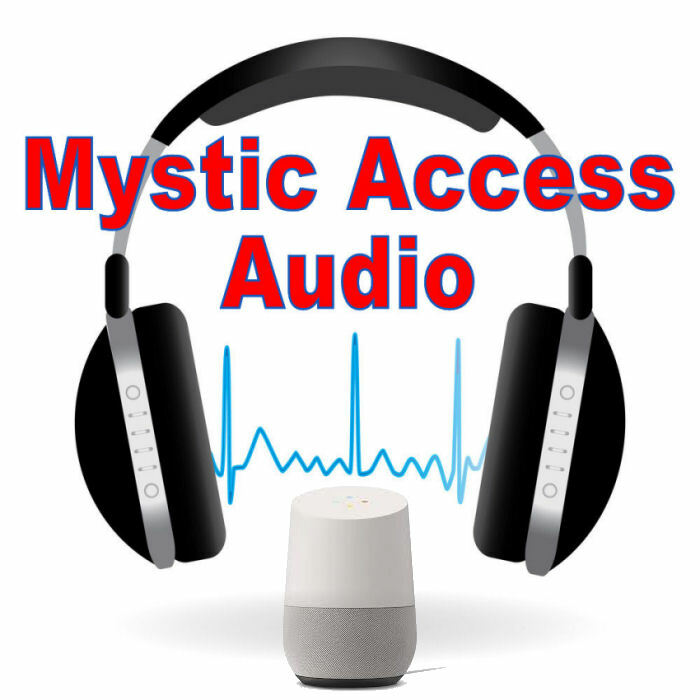 This Google Home tutorial also includes all of the encouragement and motivating reminders that Mystic Access has become known for. It is designed to help you get inspired to be more proactive, curious and excited about learning to use your Google Home to the fullest. Your investment for this audio tutorial, (which is over six hours and fifteen minutes in duration), is $39. The tutorial is available in both DAISY and MP3 formats upon purchase. Thank you for your interest. We appreciate you!